Scabbards are a great way to carry your LARP sword around with you and also protects the blade section from getting damaged. Our LARP scabbards are made from durable vegetable tanned leather and the inside throat of the scabbard is lined with thick faux fur to protect the coating on your LARP sword when you slide it in and out of the scabbard. These are sharp looking scabbards. With adjustable belt straps you can control the angle at which your sword hangs. Available for left or right handed draws. 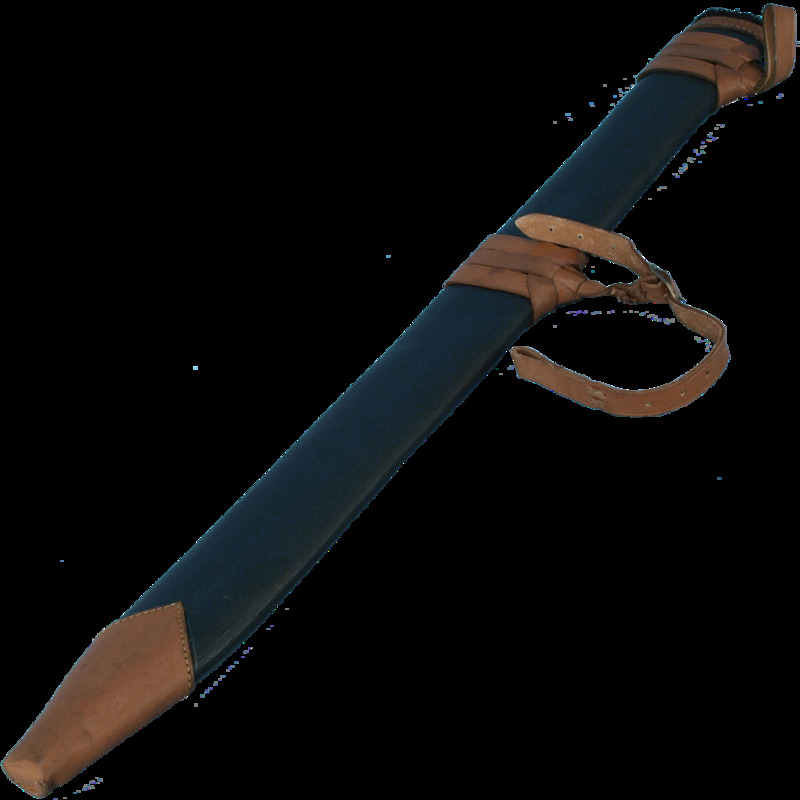 The standard color of the leather scabbard is a matte black body with brown ends and brown straps.